Neil Chowdhury is a digital media artist whose work explores the relationships between individuals, their societies, and environments in different cultures. He holds a B.A from Fairhaven College and a M.F.A from the University of Washington. He has been awarded the 2011 Light Work Grant, and the 2005 SPE Gary Fritz Imagemaker Award. Chowdhury’s work has been widely exhibited and published in the United States and abroad. He has has also participated in artist residencies in several countries including: The Hungarian International Artist Residency Program, Budapest, Hungary; and Galichnik Art Colony, Galichnik, Macedionia. Chowdhury’s work can be found in the permanent collections of the William Benton Museum of Art, Light Work, the Tasveer Collection, The Museum of Contemporary Photography, Chicago, The Gershwin Hotel, and the National Gallery of Macedonia. 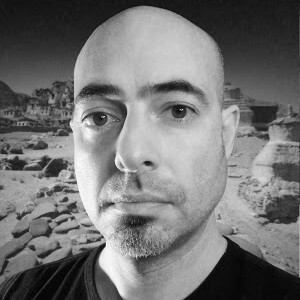 He has held positions as assistant professor and director of the photography program at Cazenovia College, and has also taught at Zayed University, Dubai, United Arab Emirates; the College for Creative Studies in Detroit, Michigan; and the University of Washington, Seattle. He has also worked for several years as an industrial photographer for Ford Motor Company, and accepts freelance travel, editorial, and commercial photography assignments in addition to his work as a fine artist and educator. His photographs and digital video works can be found in the collections of Contemporary Museum of Photography in Chicago; the William Benton Museum of Art at the University of Connecticut; The Light Work Collection; the National Gallery of Macedonia; the US State Department Art on Loan Program; Tasveer Arts Foundation, Bangalore, India; and in many other private collections. Chowdhury’s work has been featured in numerous prominent photography and arts publications and blogs, including Contact Sheet: The Light Work Annual 2012, Photo, Indian Vogue, Stone Canoe, Lens Culture, Mrs. Deane, Dodge & Burn, Conscientious, L’agenda, Tasveer Online, and recently in the cover story of the August-September 2012 Andpersand Magazine. He is represented in France by Charlet Photographies. He lives and works in Syracuse, NY.